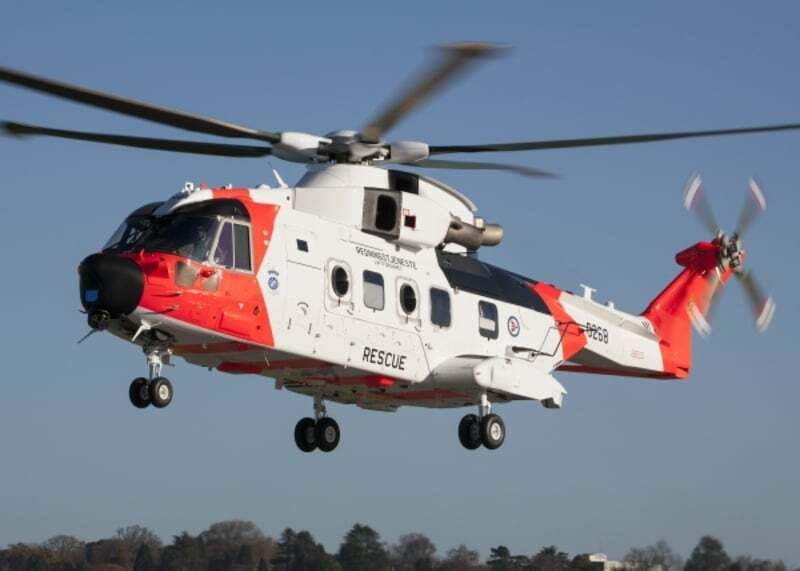 Leonardo announced that the first of 16 AW-101 allweather search and rescue helicopters has been delivered to the Norwegian Ministry of Justice & Public Security. The aircraft departed its Yeovil facility on November 17th for Sola Air Base in southern Norway where the aircraft will enter a period of Operational Test & Evaluation (OT&E) before entering service with the Royal Norwegian Air Force in 2018. Aircraft deliveries will continue through to 2020 with SAR operations being established with the aircraft deployed across each of the six main operating bases. The AW-101 benefits from three-engine safety, a full ice protection system for flight in known icing conditions, long range and endurance, a proven 30 minute “run dry” gearbox as well as multiple redundancy features in the avionic and mission systems. The large cabin doors and rear ramp provide easy access for personnel, survivors and equipment into the 27 m3 cabin which has standup head room throughout. The aircraft is equipped with an advanced SAR equipment package including a multi-panel Osprey AESA surveillance radar system from Leonardo that provides 360° coverage, 4-axis digital Automatic Flight Control System (AFCS), two rescue hoists, searchlight, electro optical device and a fully integrated avionics and mission system. Other systems and equipment include a mobile telephone detection system, obstacle proximity warning system, weather radar, complete medical station and mission console. The company is providing initial support and training services, including spares at each of the operating bases and has recently completed the aircrew training for the initial group of aircrew. It will then provide performance based logistic support to deliver approximately 90,000 flying hours across the fleet of 16 helicopters over the initial 15 year period. Leonardo has partnered with Norwegian companies AIM Aviation to provide maintenance services at the Royal Norwegian Air Force’s six operating bases and with Kongsberg Defence Systems to provide helicopter transmission repair and overhaul services in Norway. An AW-101 full flight simulator was commissioned in June 2017 at Sola Airport to provide in country training for aircrew in advance of aircraft deliveries and will be used by Norwegian aircrew and third parties to provide training that will both reduce training costs and improve safety by allowing crews to practice the full range of emergency procedures. "The AW-101 continues to lead its class as the world’s most advanced and capable search and rescue helicopter available today featuring a large cabin, over 1,300 km range, high cruise speed, all weather operating capability, high reliability and safety. Its cabin can accommodate 30 -plus survivors, SAR equipment and crew, and the cabin can easily be reconfigured to meet specific mission requirements including for Special Police Operations. Orders for more than 220 AW-101 helicopters have been placed by customers worldwide so far for a wide range of applications including search and rescue, personnel recovery, utility, maritime and naval roles and head of state/government transport duties", according to a note issued by the industry.